In our last lesson, in our look at learning Cinema 4D Lite from Maxon, we talked about the Cineware plug-in, and how you’re going to work with it in After Effects. In the next few lessons, I want to talk about some important 3D concepts that you’re going to need to understand, if you’re going to work in a 3D application. The first concept that is important to wrap your head around, when working in a 3D application, is that you will, for the most part, no longer be working in only one viewport. 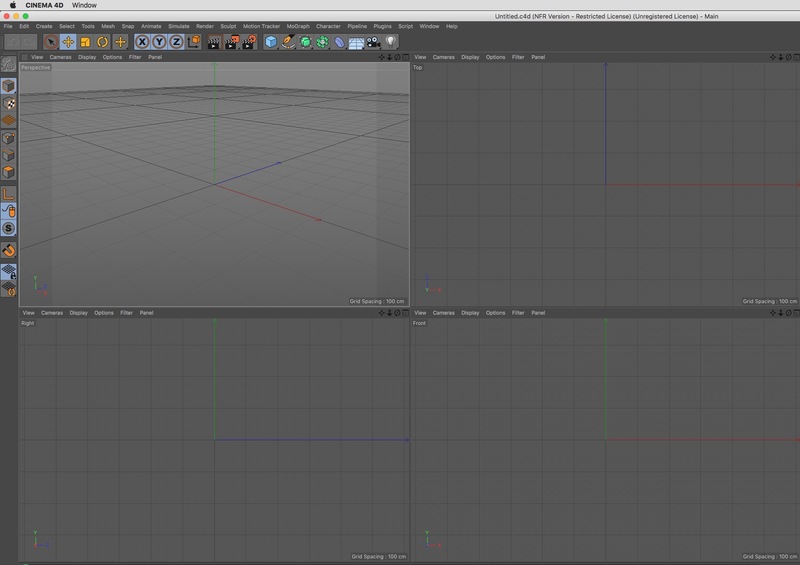 The most common view setup is the “quad split”, which in Cinema 4D Lite can be called up by pressing the middle mouse button. This layout will give you access to four camera view, most common of which are the “Camera/Perspective” view, and then (most likely) the Top, Left and Right views, but these can be adjusted according to what you might need to see in your project. What I normally suggest to new After Effects users is to get used to using these view in After Effects first (yes, you have access to these views in After Effects, because you have a camera you can manipulate), and then you can move onto working with them in After Effects.